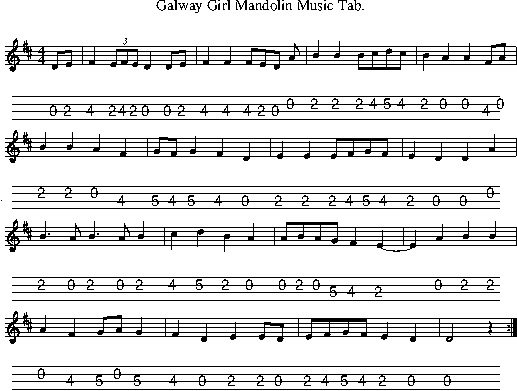 Sheet Music Below With The Tin Whistle Notes.Written by Steve Earle and Sharon Shannon, the video below is of Mundy. Change the tab to suit your own voice with the key chords changer on the site. 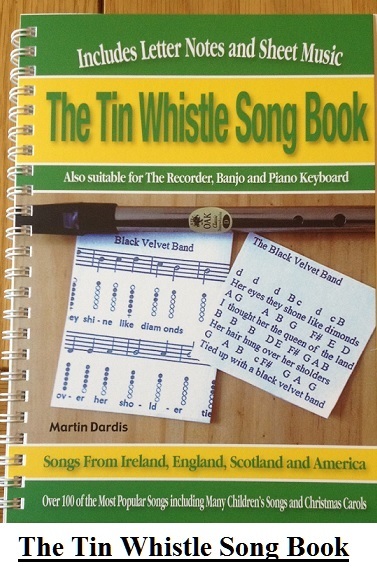 The tin whistle ABC notes are by Cathal Lynch. Recently recorded by Celtic Thunder and by Rapalje, and by Shayne Ward And Foster And Allen. The video on how to play the song on tin whistle is by Jean-Baptiste Meynard who is using a D whistle. The notes played may not be exactly the same as I have given. Be imaginative and play your own version of the tune. No tune has to be played exactly the same as who made it famous. Once the basic melody of the tune is kept in place that's all that matters. That's it, you repeat it all three times over for the full song. Some versions have solos after each of the verses. The solos are roughly the same notes as the verse with a bit of ad-libbing. 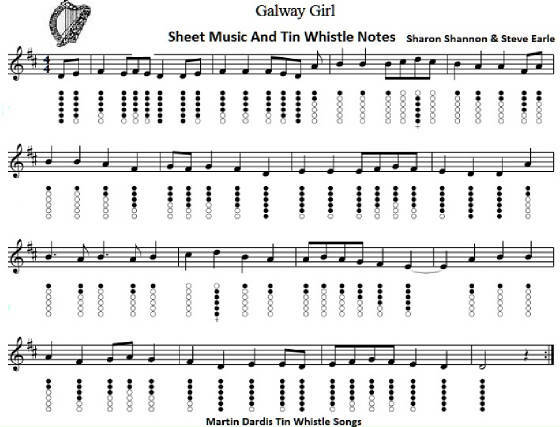 As these are ''Lead Notes'' they are not only for the tin whistle but are suitable for accordion and fiddle. The mandolin tab is below.